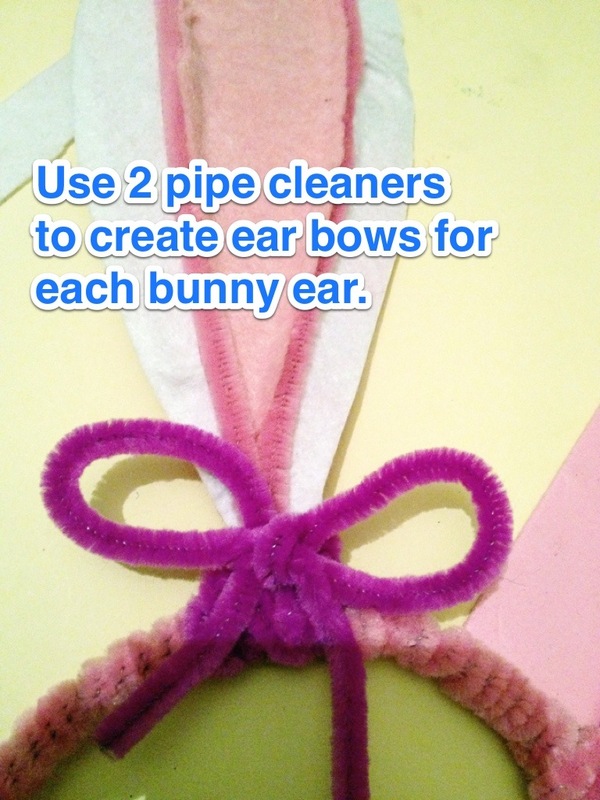 Here’s how to make yourselves or your children some rather cute bunny ears. 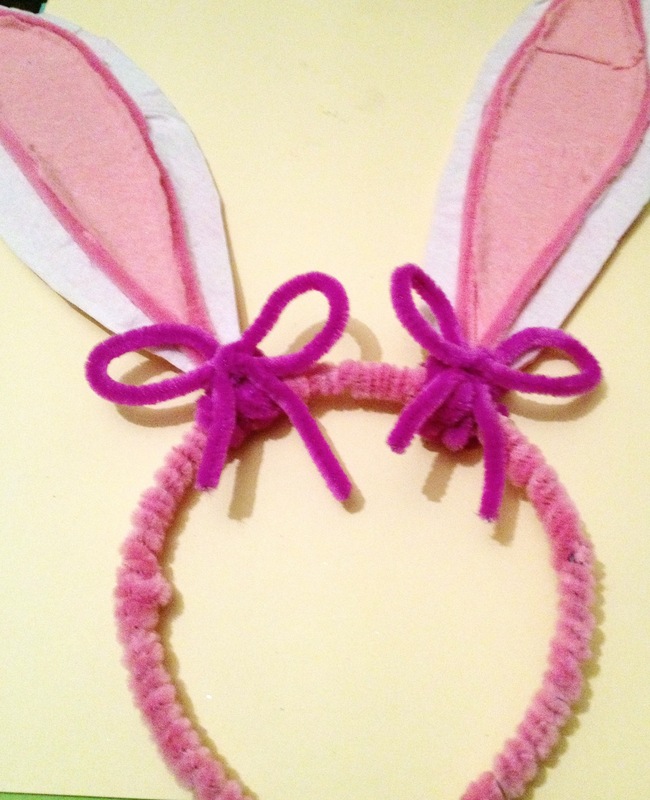 And Finally… Pop them on your head and look super cute. 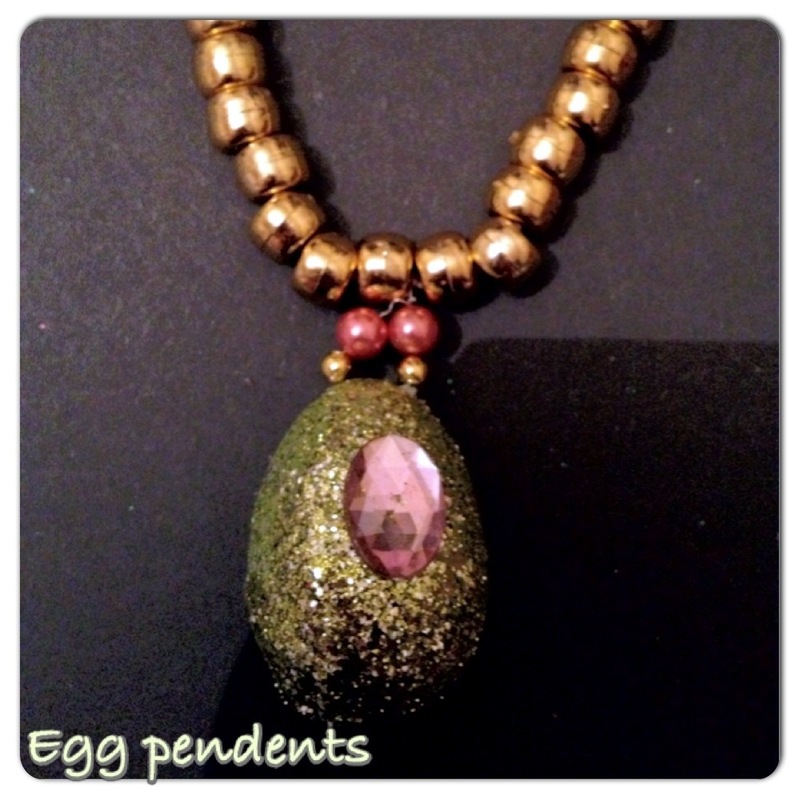 With it being Easter I’ve got even more Easter inspiration to share with you all, with the addition of these cute little glittered egg pendants each on its own beaded necklace. 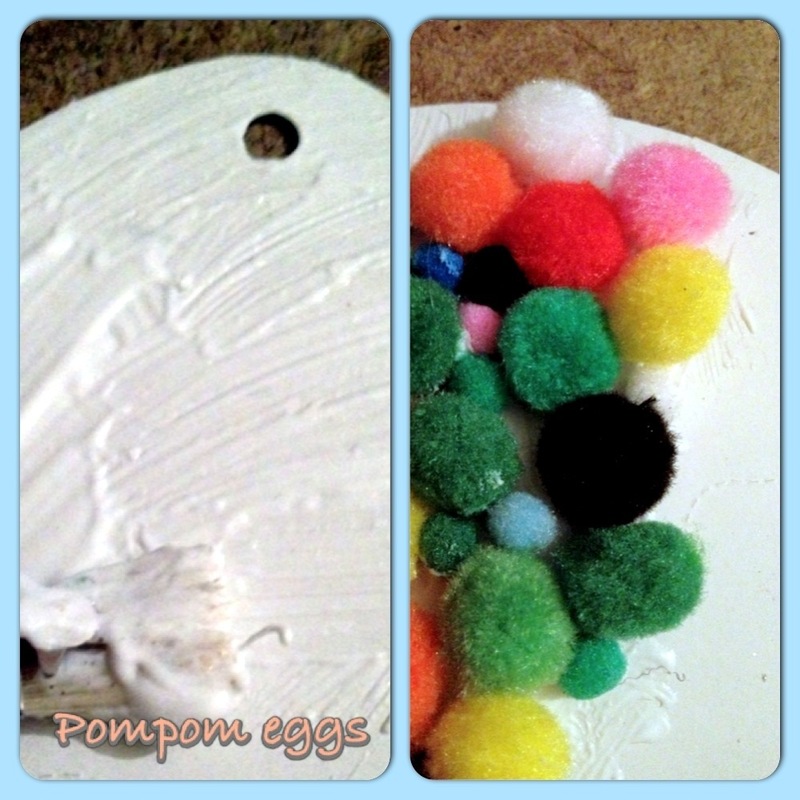 Step 1 Take your mini polystrene eggs (however many you wish to make) and one by one cover in a coat of tacky glue. 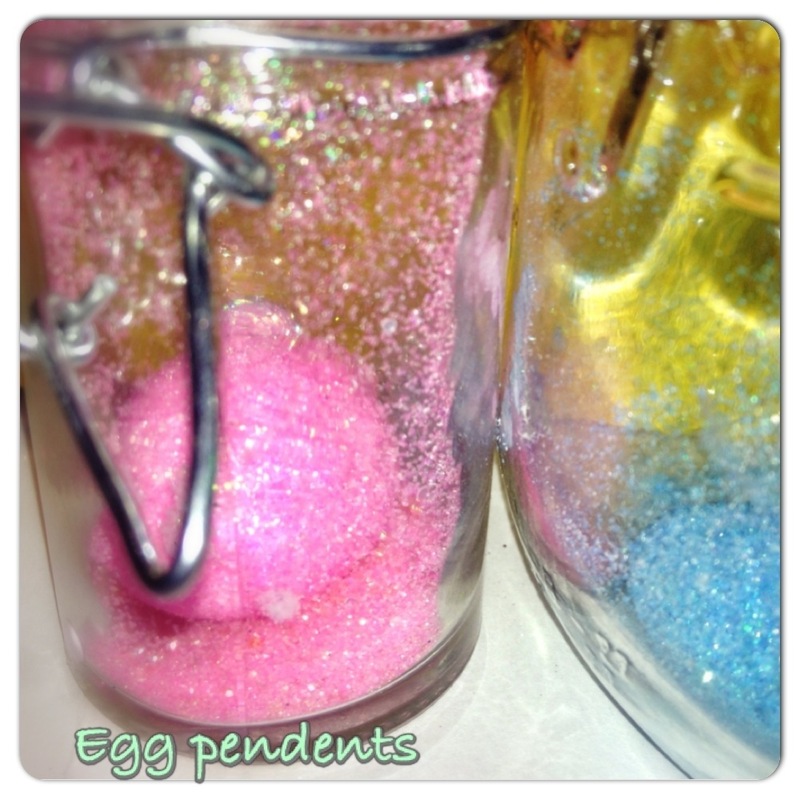 Step 2 Place your different coloured glitters into different sandwich bags, jars or other clean clear containers. 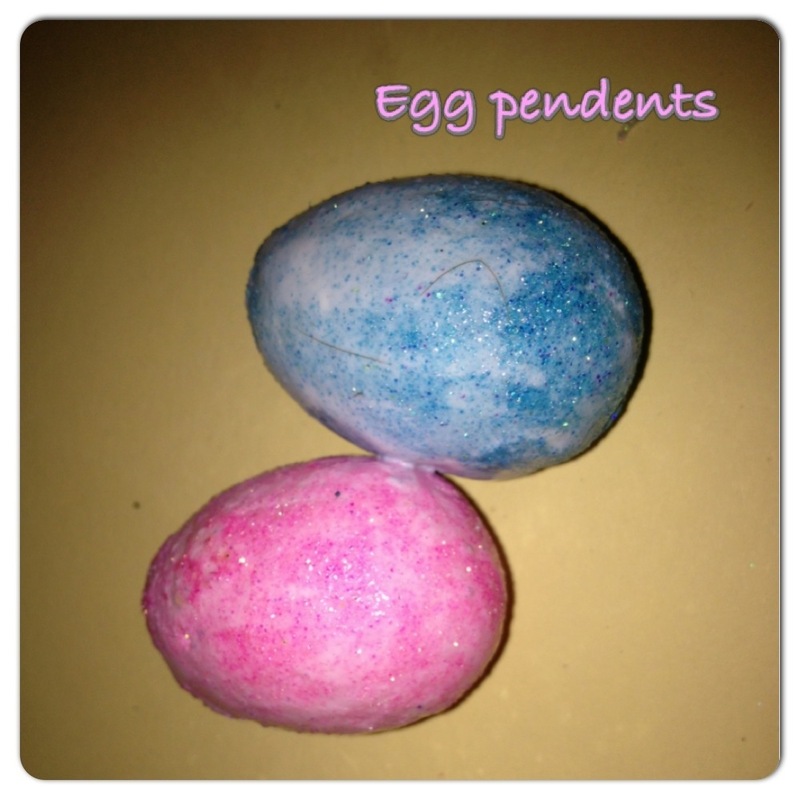 Place each egg in a bag (one egg to one bag) tie and then Vicariously shake to completely cover the eggs in the glitter. 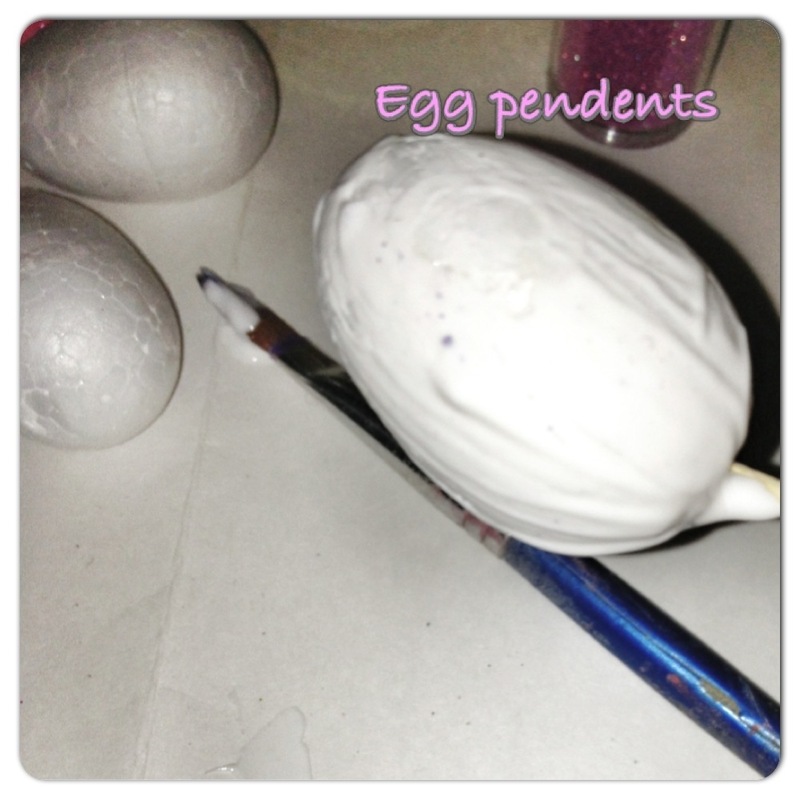 Step 3 Use a tooth pic to remove the eggs from their bags and leave them to dry for at least a few hours before covering each in a layer of mod podge gloss. Step 4 After a further 30 minutes or so drying time, use a needle to pierce a hole at the top of your egg from one end to the other. 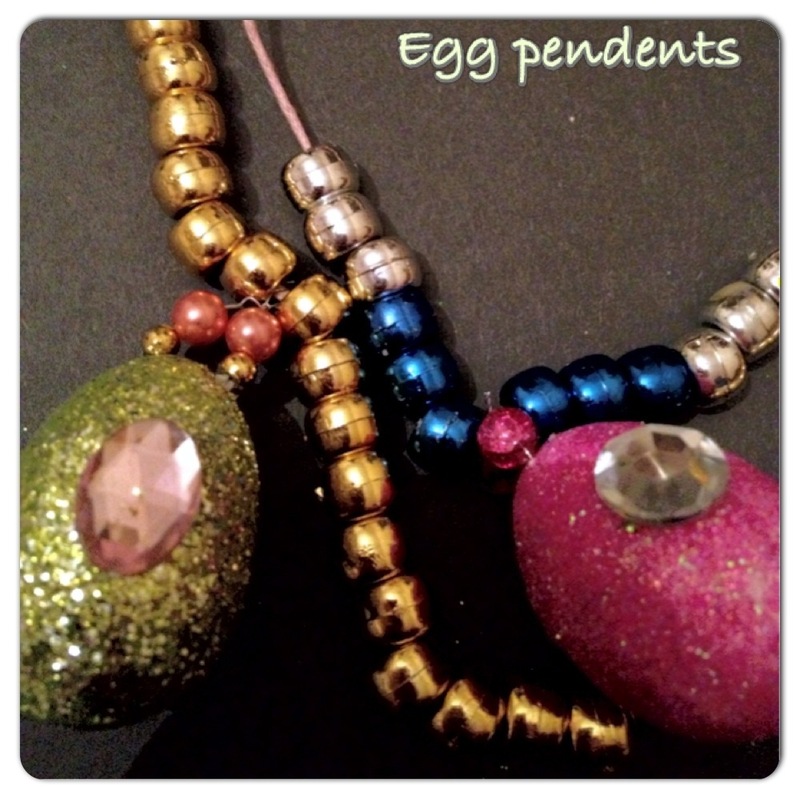 Now thread the tiger wire through the egg and tread on a couple of beads, twist and make a hanging loop by twisting again. 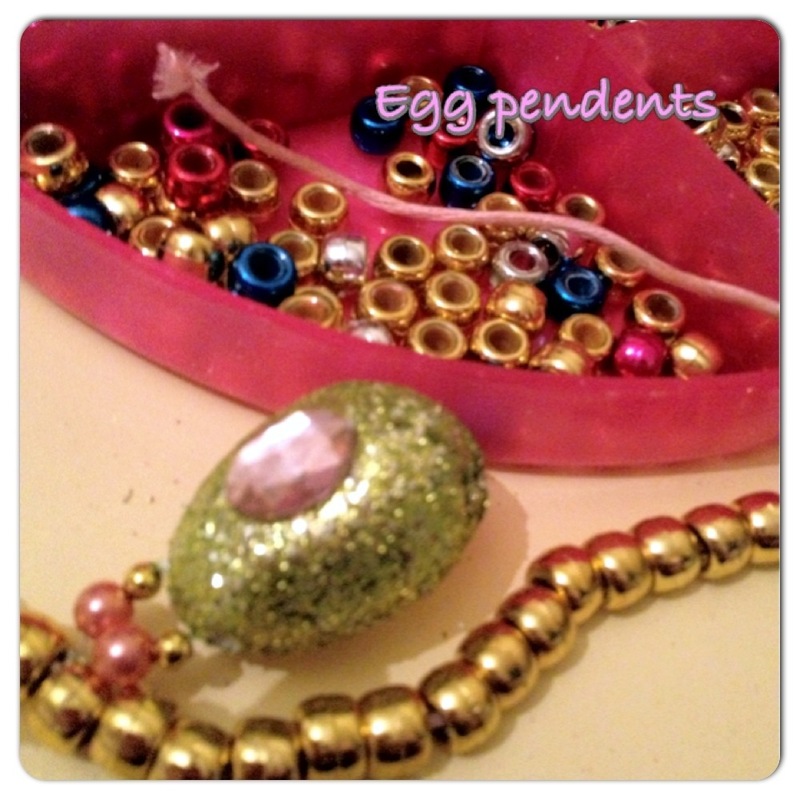 Step 5 Now thread the egg through your necklace thread. 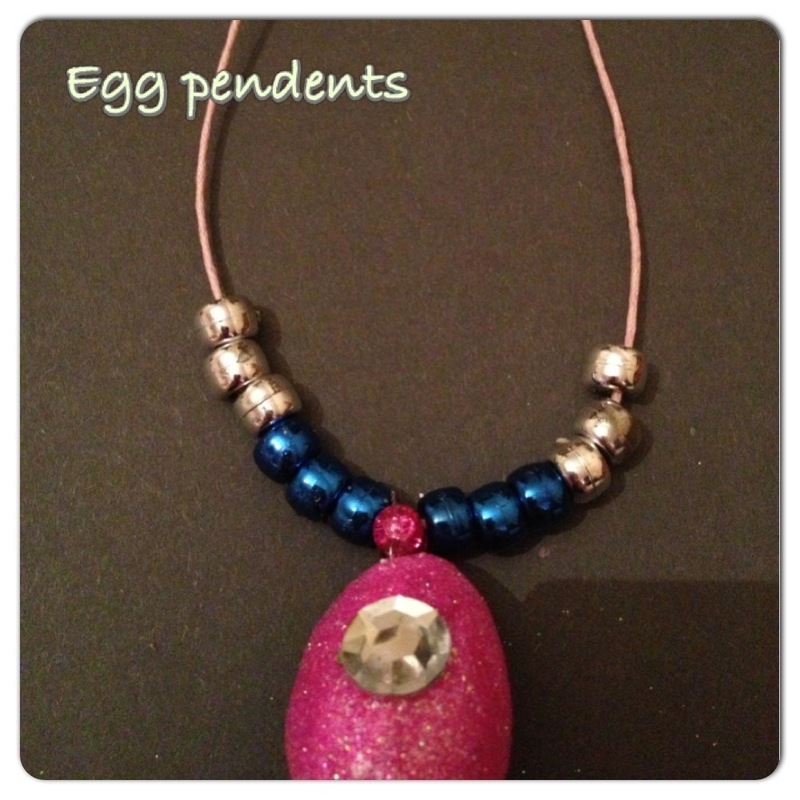 Step 6 Now, stick a self adhesive gem to the centre of your egg. Step 7 Now thread some big metallic beads onto the thread and tie. Step 8 Now wear and watch as others admire your bling! 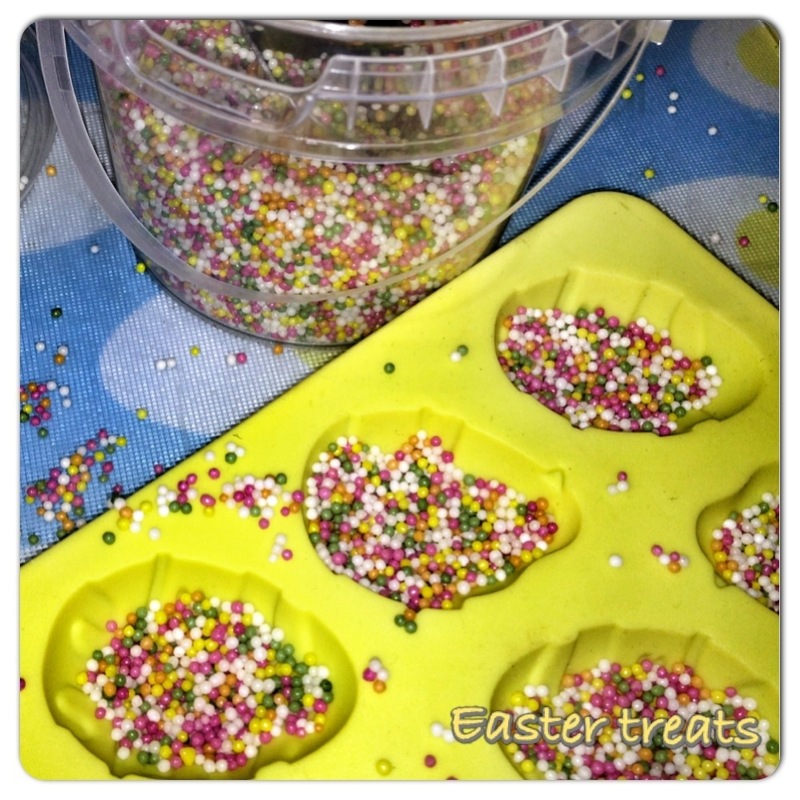 With a few moulds, melted chocolate and lashings of hundreds and thousands… You can create your very own yummy Easter Treats. 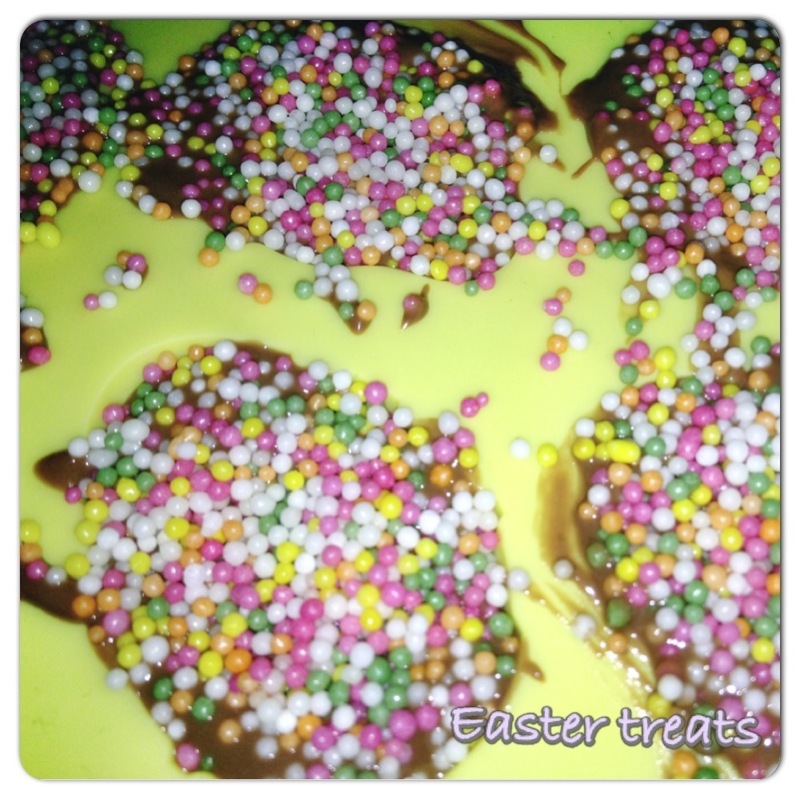 First melt your chocolate in the microwave (30 seconds to 1 minute is usually long enough). 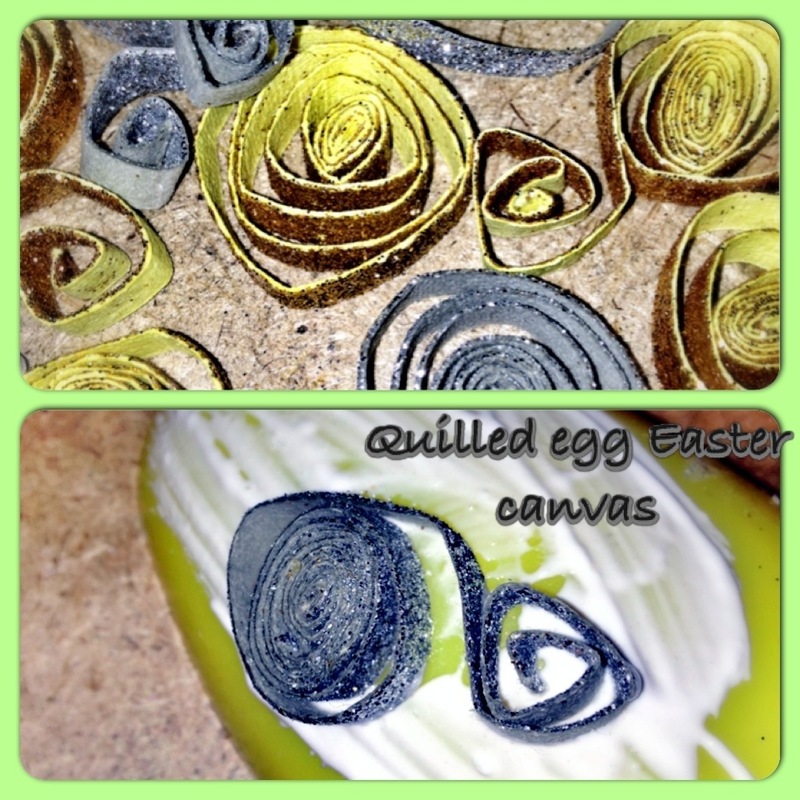 Now take your egg moulds and sprinkle with a thin layer of hundreds and thousands covering the surfaces of the mould. 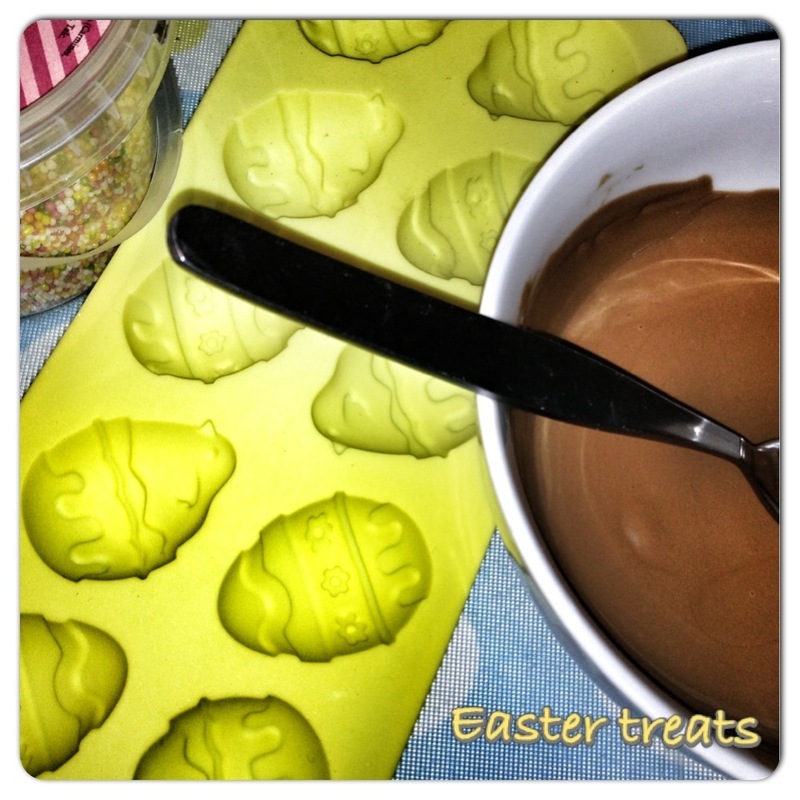 Now pour the melted chocolate into the moulds over the top of the hundreds and thousands. 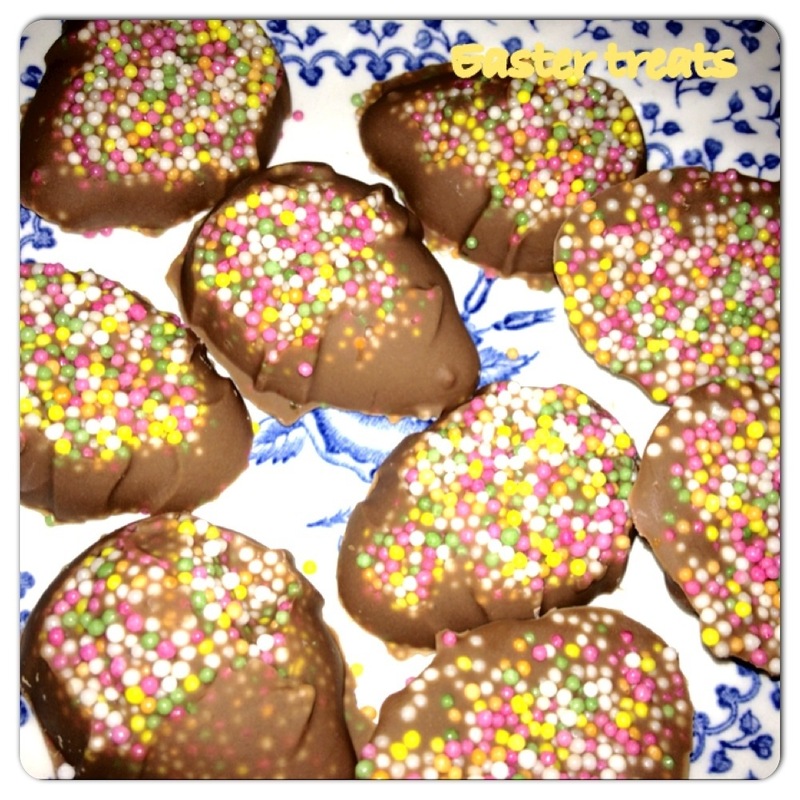 Now add a thicker coat of hundreds and thousands over the top of the chocolate. Pop in the fridge for a couple of hours (to speed things up you can put these in the freezer for a bit). 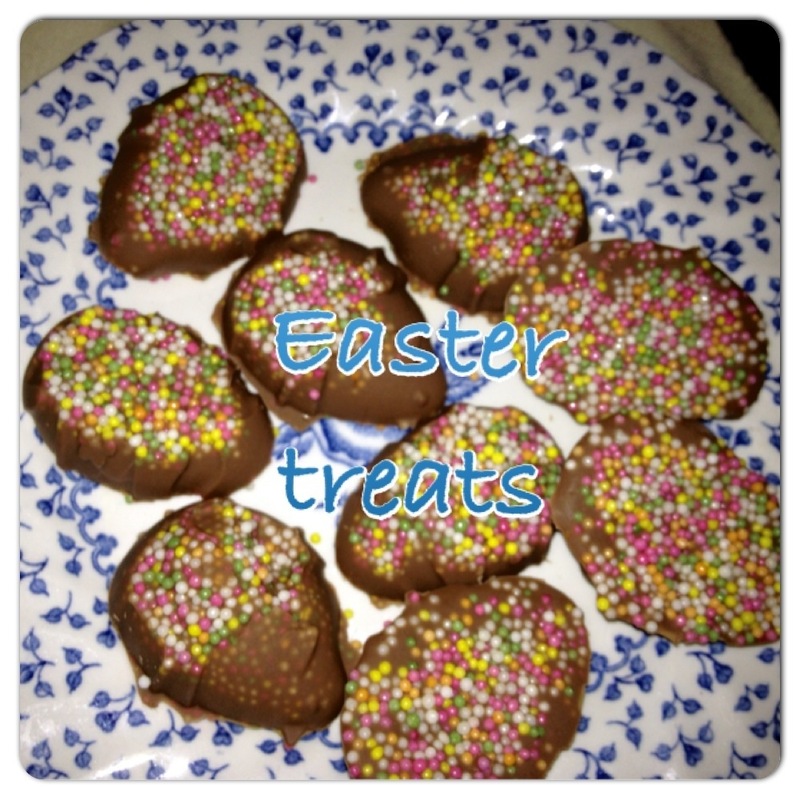 Once set gently remove treats from the moulds and use tin foil and ribbons to wrap if desired. 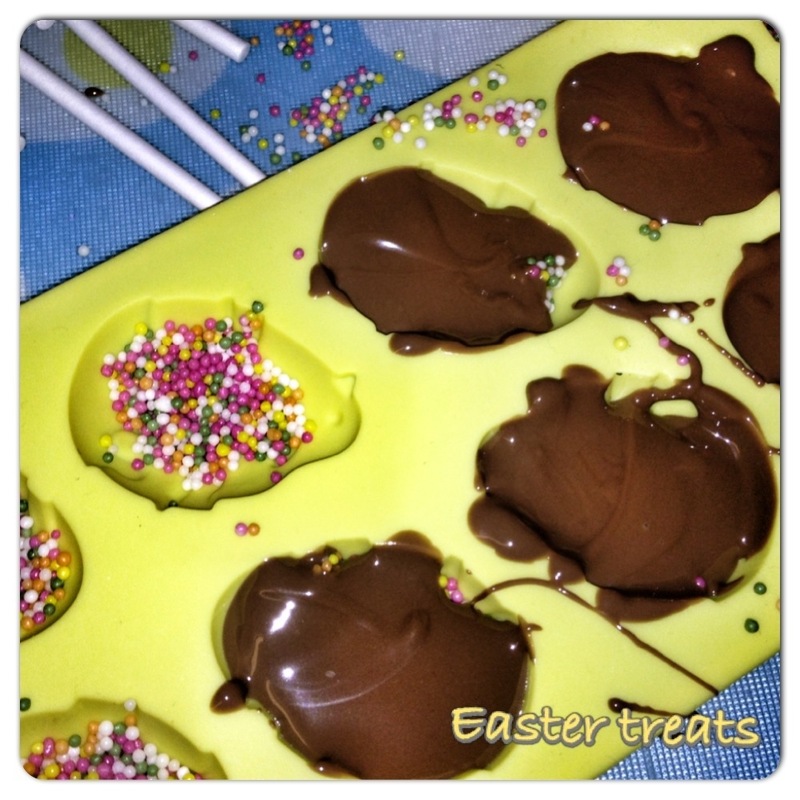 Oh… These started off being lollypops only the sticks won’t lay flat in the moulds so my advice would be… Don’t even go there with the lolly sticks! 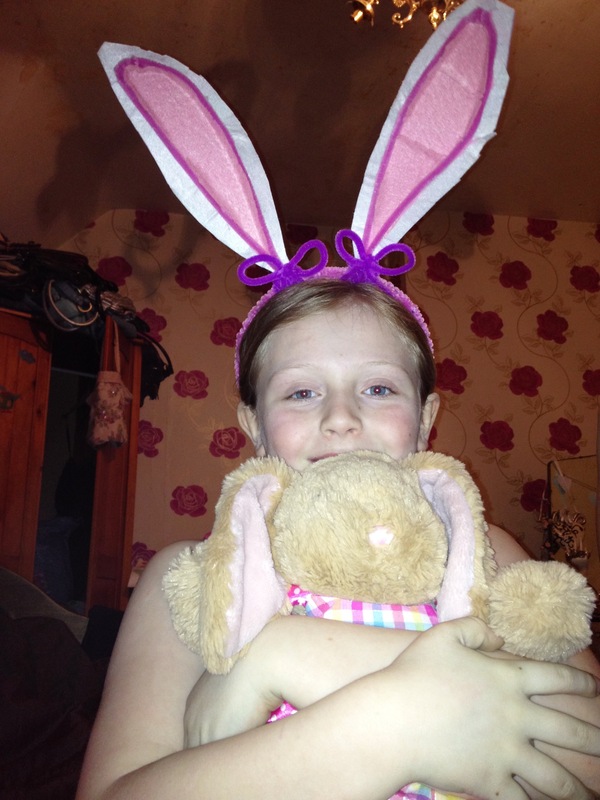 Just a quick one to share a cute little Easter craft the children have been engaging in. 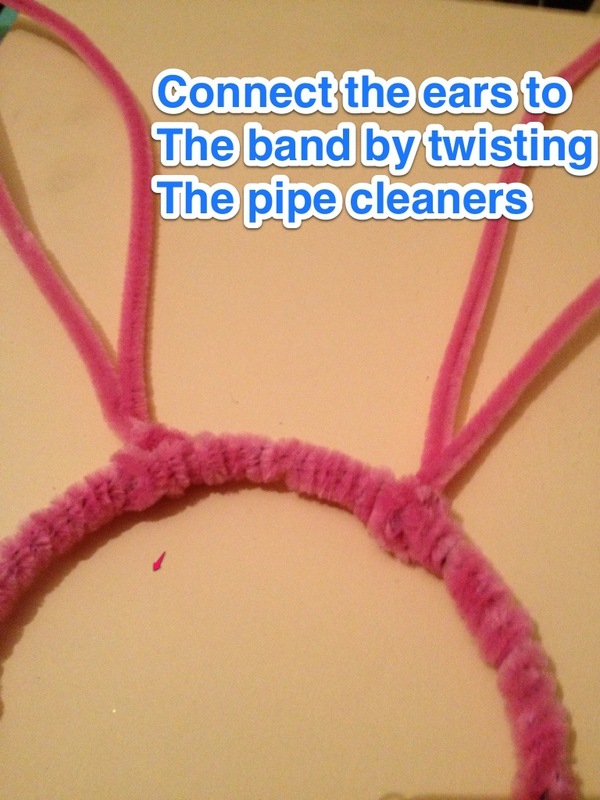 The children loved this activity. 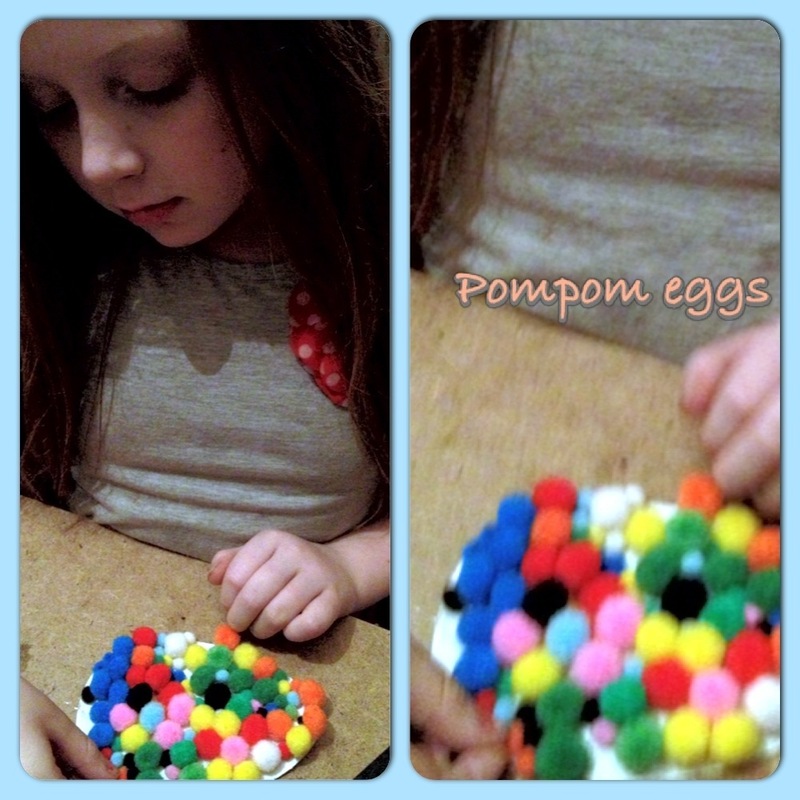 Both Alice who is 10 and the toddler of 3 enjoyed the craft equally. Yes, it can get a little messy, especially when your a toddler, but nothing a little soapy water cannot fix. Its simple, take a pencil and some card and draw around your egg template. 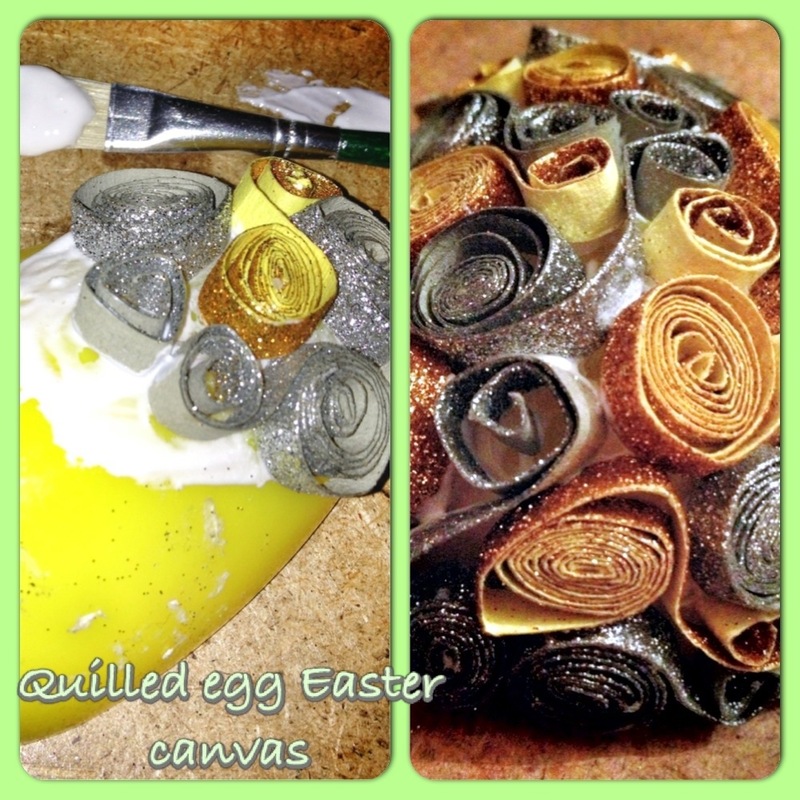 Do this for how ever many egg decorations you want to make. Now cut this out and then rub away any visible pencil marks with an eraser (you may have to create the egg shapes for smaller children as I did for the toddler). 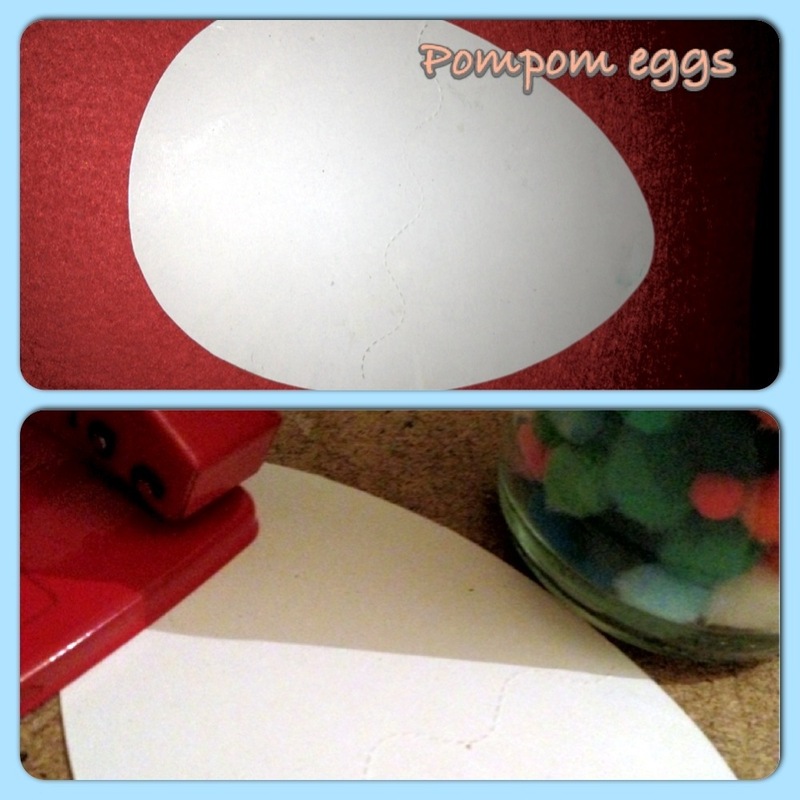 Next step is to use a hole punch to make a hole at the top of each egg. 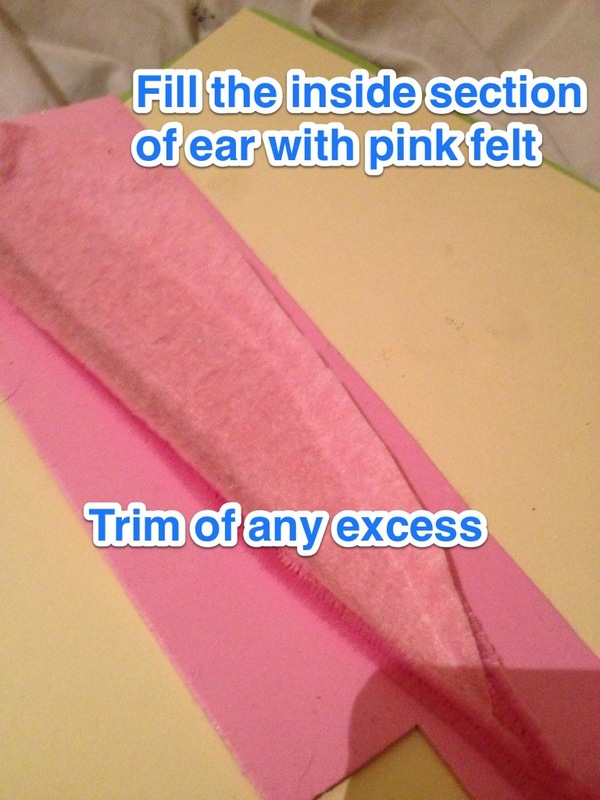 Now take some really sloppy tacky white glue and begin to work section by section. 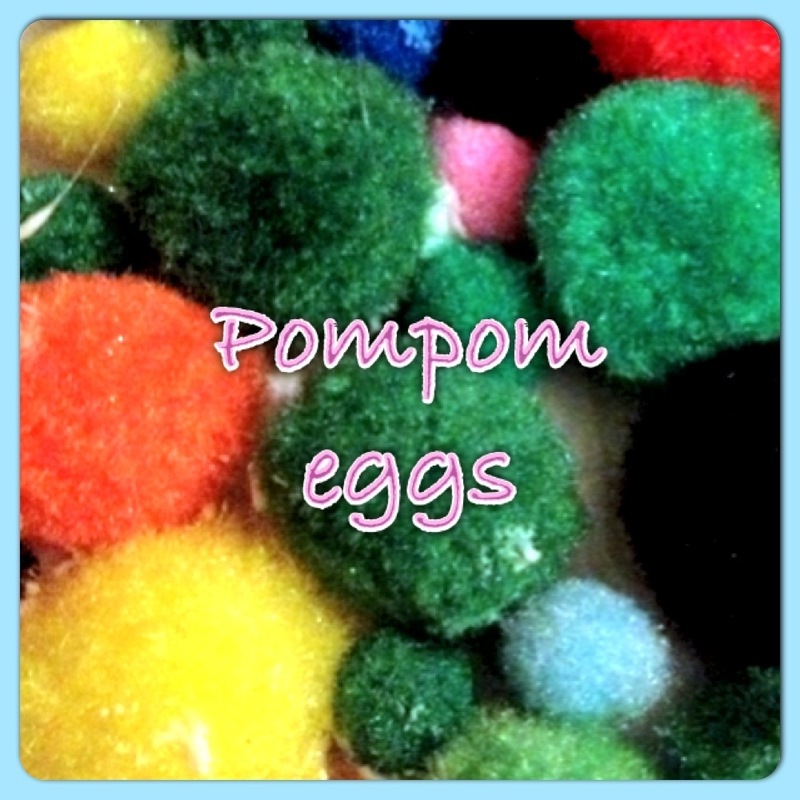 Spread glue and then layer Pom-Poms on top side by side. 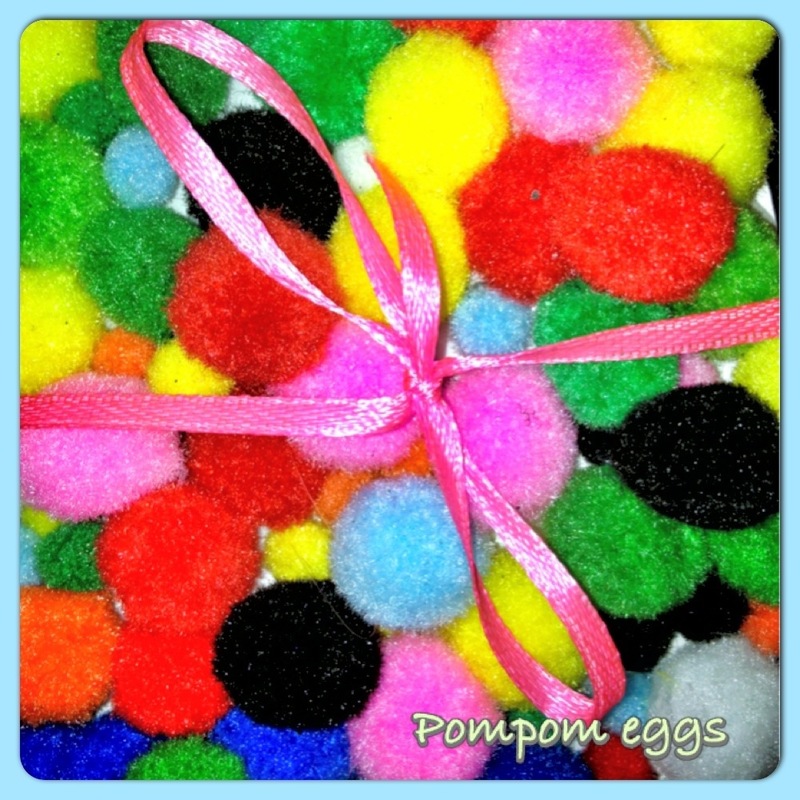 Push the Pom-Poms as close together as you can, filling any gaps with smaller Pom-Poms. Once completely covered, leave to dry. 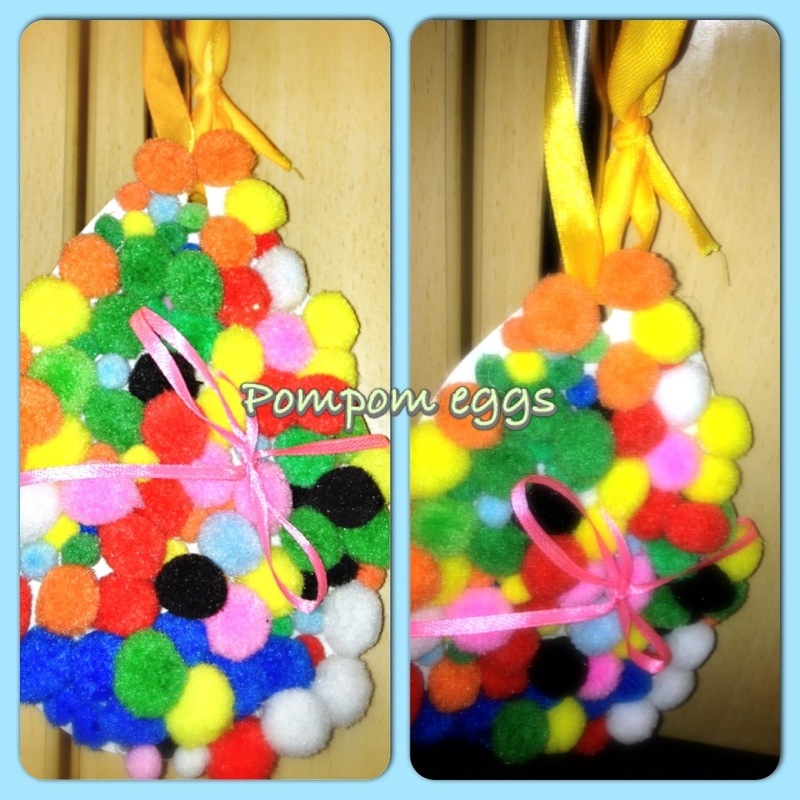 Once the egg has dried, tread through your thick ribbon and tie into a knot ready for hanging. 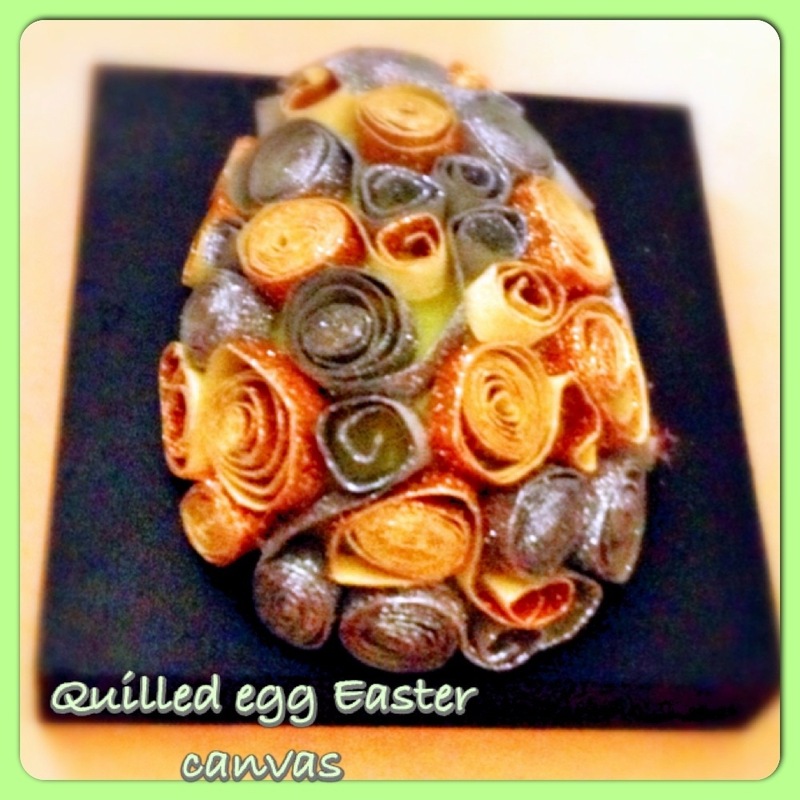 You can turn the egg over on the reverse side and decorate in the same way so both sides are completely covered. 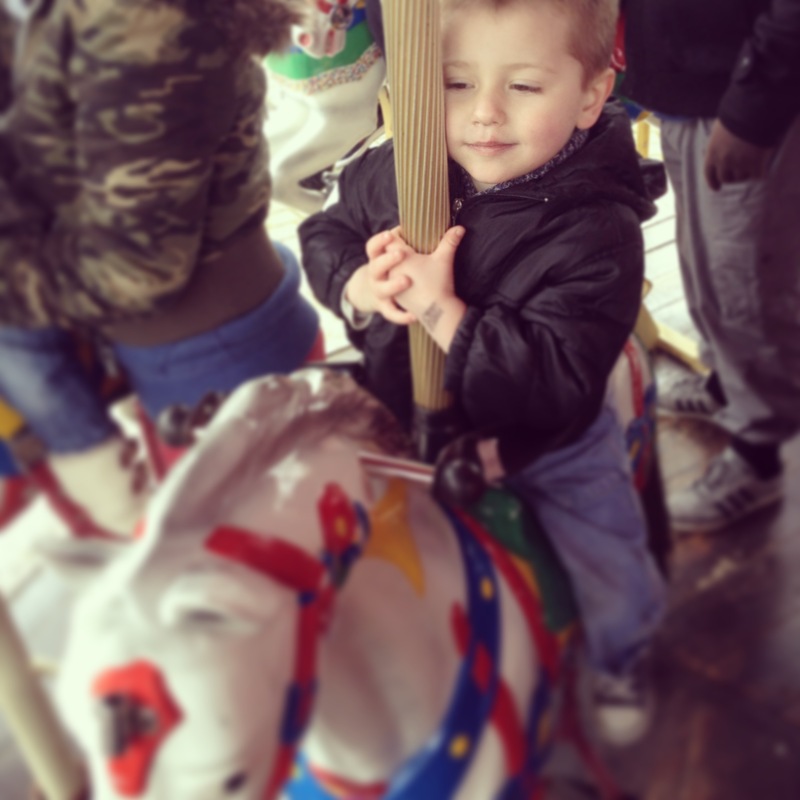 Completely optional, it may depend on how patient the children are being and their overall level of engagement by this stage. If your not doing both sides then now is the time to place your thin ribbon around the centre of your egg, finishing off with a pretty bow. 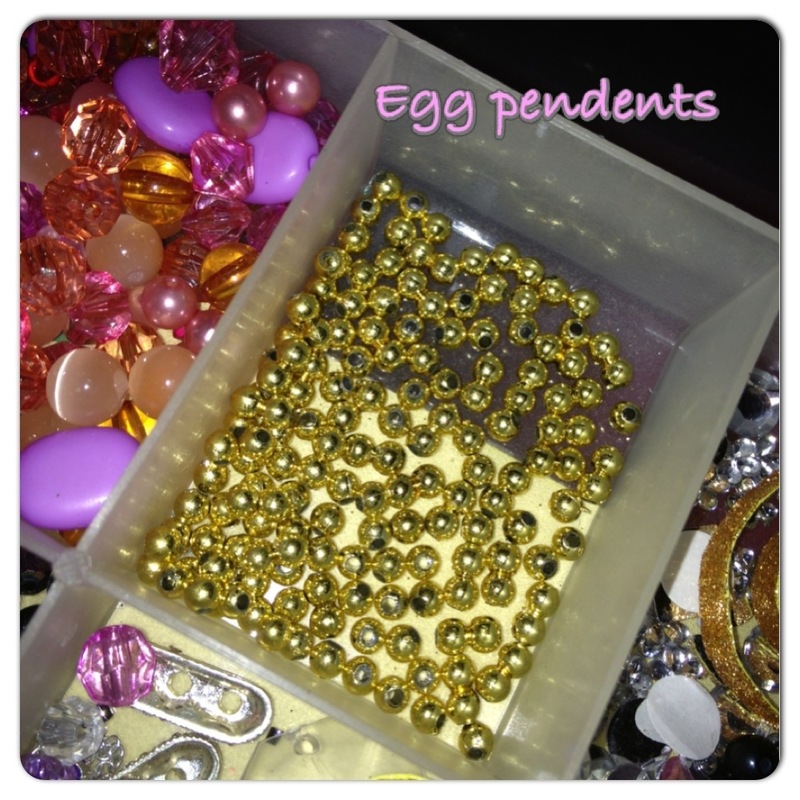 These can also be decorated with other materials such as sequins and gems, felt or paint… Let their imaginations run wild. All thats left to do is to hang and proudly display… These look great hung from natural tree brunches that have been placed in a soiled pot. They even look great hanging at the window so passers by can admire. I have a bus stop outside my window so the children’s decorations have been admired by many (even the bus drivers lol). 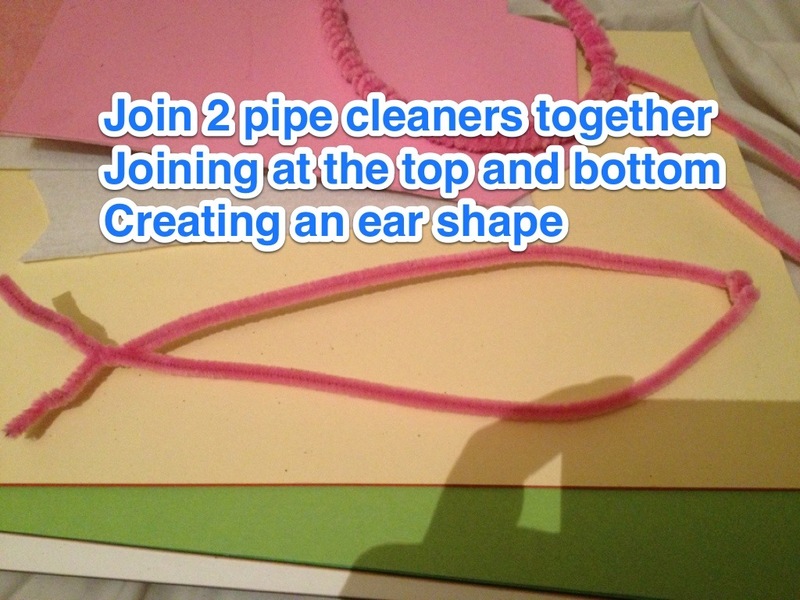 This is a real lovely little craft project that mainly involves quilling paper strips and if like me you don’t have yourselves a little quilling tool, then you will require a little patience. Regardless of the fact I quilled my paper by hand, I later discovered while working on another project, that a pair of tweezers do the job rather well. First quill some paper strips. If you have a quilling tool use this or as mentioned tweezers work well. To quill you basically roll the paper really tightly and press it into different shapes. You then secure your chosen shapes with a little glue. 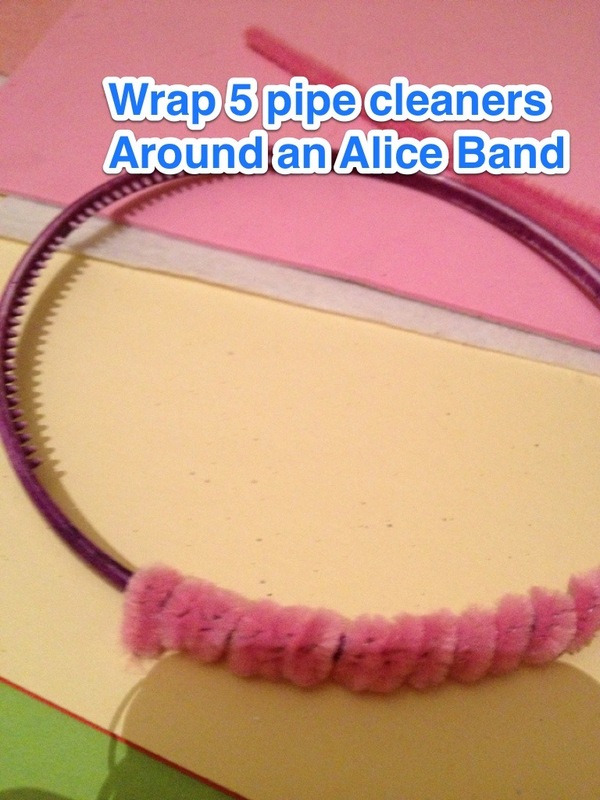 You can also roll the ends in the opposite direction for added effect. This is easily done by hand but does take a little longer. Remember when quilling your paper use two different colours quilling an equal number of both (I did about 12 of each colour). 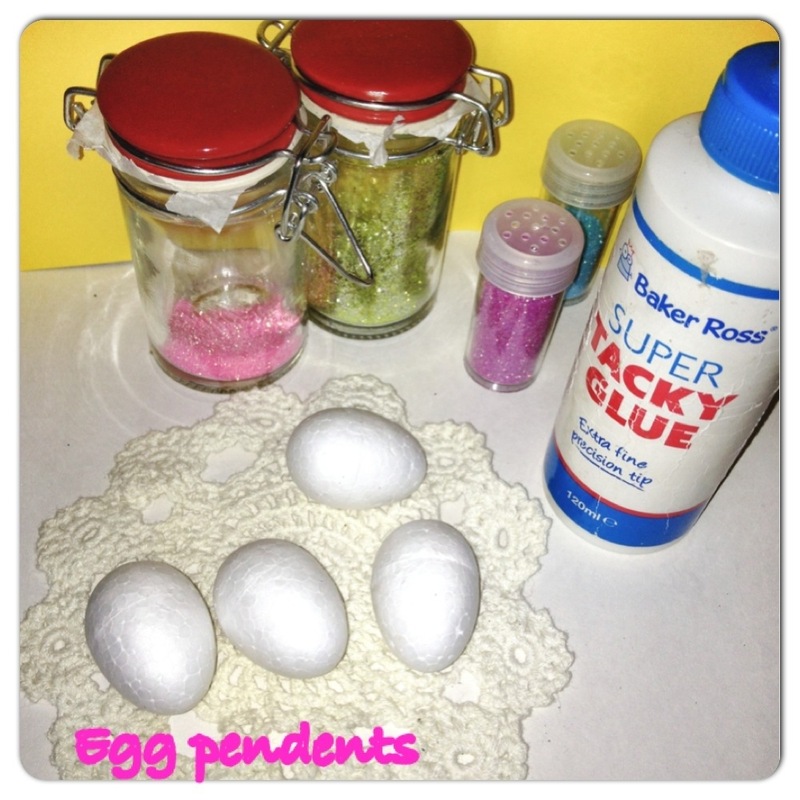 Once your paper quills are ready take your half of plastic egg shell and working in small sections apply a good amount of tacky glue then position the paper quills on top. You can really experiment at this stage! 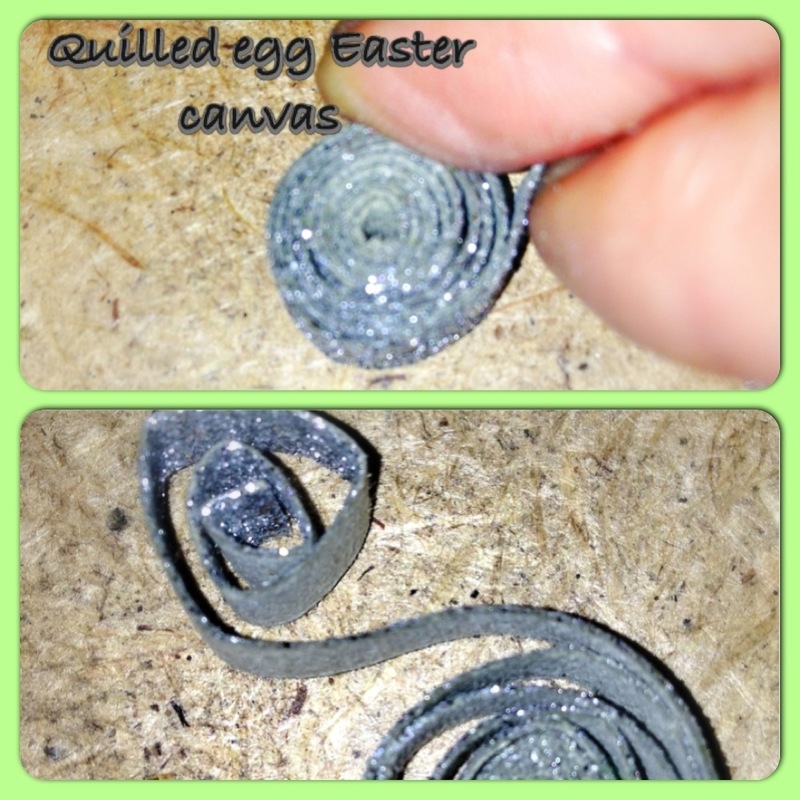 Add the quills to the egg making various patterns or glue together really tightly for that classic quilled look. 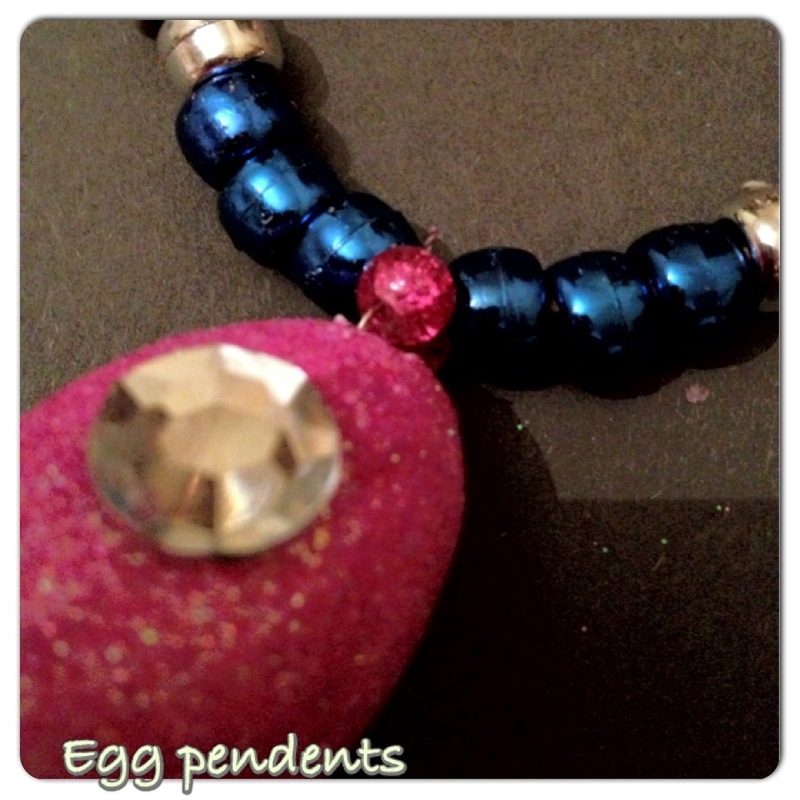 At this stage you can also add beads or gems to random quills if desired. I’ve done this on various other projects and it looks really good. 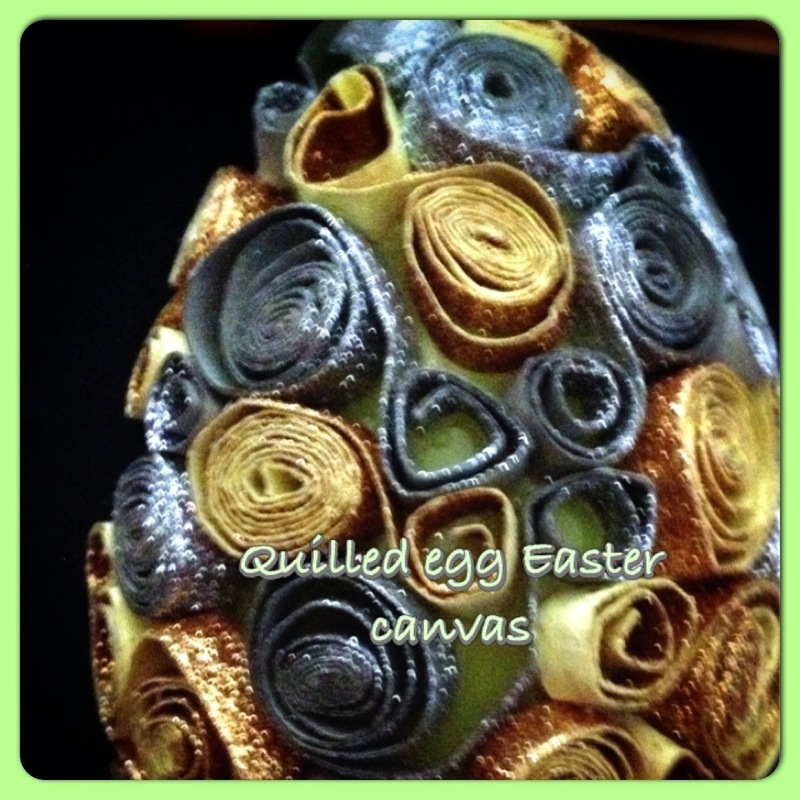 Once your design is complete add a very thin layer of mod podge over the top of the egg to give it a glossy finish. 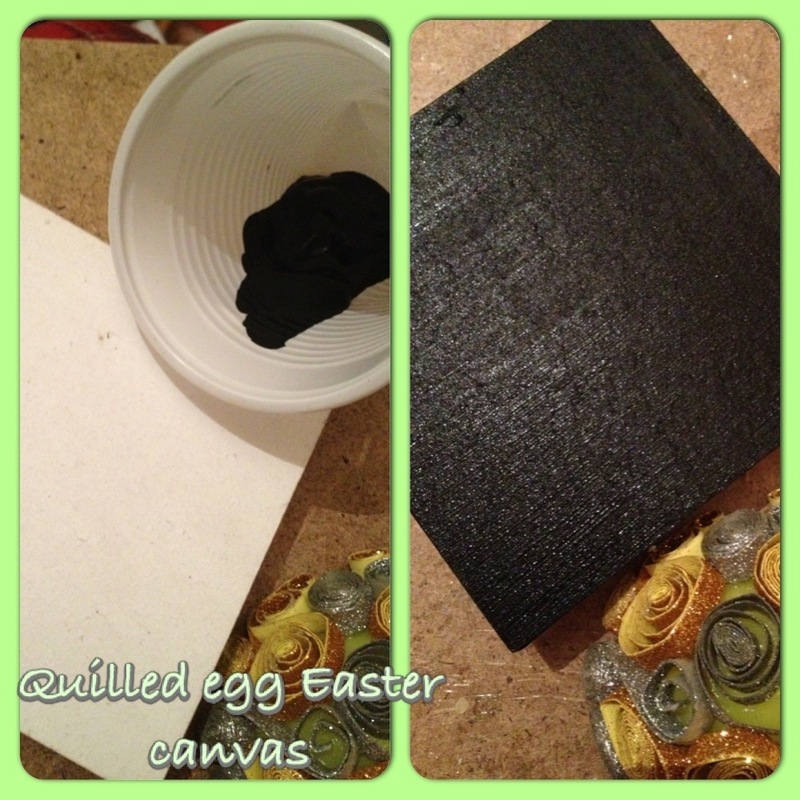 While your egg is drying (20 minutes – 1 hour depending on environment) bring forward your canvas block and black acrylic paint. I find that using a paint pad makes it super quick to cover the block with paint, plus you won’t be left with any brush marks. You can still use a paint brush if you don’t have a pad. I gave my block two coats of paint letting each dry for at least 20 minutes between coats. Once dry I gave my block one very thin layer of mod podge gloss which I applied with a clean pad. 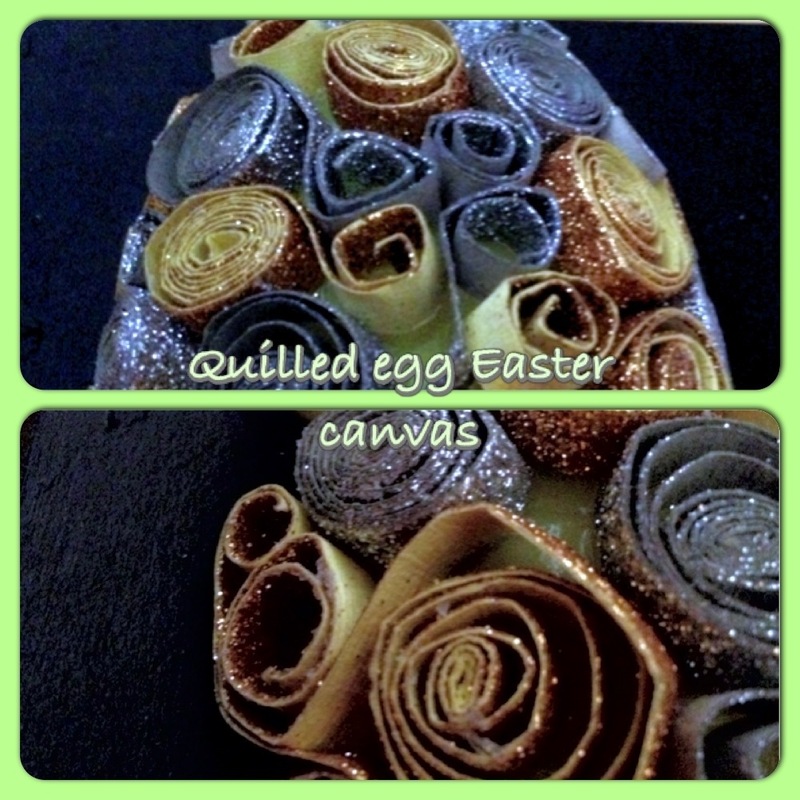 Once my block was fully dried I brought forward my quilled egg and applied some super glue around the eggs edging before finally securing it to the centre of the canvas block. I think the glittery quills are very pretty and the colour choice really sets it apart from the usual “Easter Colours” of pastel yellows and pinks. The addition of the black canvas block applied as a back drop really works well and together they make the most striking combination. If you enjoyed this paper quilling project, subscribe to the blog and receive regular updates and posting alerts as I have more paper quilling projects on the way including a really pretty mirror I can’t wait to share. 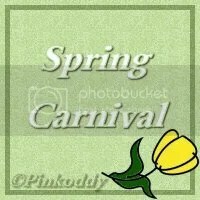 Cool stuff I discovered over at Gembobs crafts (awesome leaf bowl) check it out.